Here at Diamond Granite, we’re passionate about our ability to fabricate natural stone with stunning results. Over our 14 years in business, we’ve developed a reputation for excellence, becoming Metro Detroit's top rated granite and quartz fabrication and installation provider. We approach each job with an exceptional attention to detail, which is why our customers consistently rave about the stunning results we provide for their home countertop, vanity, mantle, or other stone surface. We operate a fully stocked showroom in Shelby Township, Michigan, which is open to the public Monday through Saturday with no appointment necessary. We invite you to come explore the options available to you for your new home improvement project. Our friendly staff will be happy to answer any questions or concerns you might have about the materials and services we provide. You can get started on your project today with no money down and no payments until you’re 100% satisfied! We always strive to build lasting, trusting relationships with our clients, which is why we only ask to be paid when the final installation is complete and you can see your beautiful, new countertops bring your home to life! 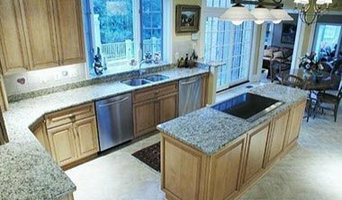 ONA Marble & Granite, Inc. is one of the highest quality custom fabricator and installer of any type of stone. We have been in business since 1992. 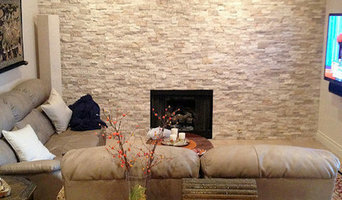 We are experts in handling all types of stone. Even though we specialize in Marble & Granite fabrications/installations, we also specialize in a variety of other services such as tile work, and handling other types of stone, natural or man-made such as Cambria, Hanstone, Technistone, Limestone, Soapstone, Onyx, etc. We know that quality matters. This is why when it comes to your project, our mission is to provide the best products at and affordable price, giving our customers the highest expectation and satisfaction. We take pride in our workmanship, exceptional service, customer assistance and total job dedication. Whatever your needs, large or small, ONA Marble & Granite, Inc will be able to not only meet, but exceed your needs and expectations.Our mission is to exceed our clients' expectations by under promising and over-achieving. Our main goal is to provide the highest quality products at a reasonable/competitive price within a reasonable amount of time. We are a father and son owned and operated business serving Ann Arbor, Michigan and the surrounding areas for over 30 years. We have also had the privilege to work with Motawi Tileworks on some unique art projects in the community including the Hands On Museum, Dexter Public Schools, and The Ann Arbor YMCA. We have been featured in the Ann Arbor Chronicle for the 19 murals we installed at The University of Michigan Hospital. We provide quality work and are equipped to handle all phases of installation in a professional and timely manner. We look forward to working with you on your next project. Retail and wholesale of ceramic, porcelain tile, LVP, LVT, Carpet, Hardwood and Laminate. Installation also available. Abella Stone is a quality and service-oriented family owned/operated company that combines old world skills of Italian stone fabrication with the benefits of modern technology. Abella is dedicated to delivering customized work appealing to the individual needs of the client. Abella brings out the ageless beauty of natural stone (granite, bluestone, limestone & others) to enhance your surroundings. Creating quality products that are second to none. Extreme Marble & Granite, Inc.
You'll be delighted about design professionals who can work their magic to help you choose the right granite, marble or quartz to match your current interior decor. Once you choose the slab you want, allow the pros to measure, cut, and install it for you. Then, all you have to do is sit back and enjoy your incredible new granite, marble, and quartz. With Tobin Tile And Stone at your side, you will not have to worry about anything because our specialists will get you familiar with our wide range of services and plan the most suitable project for your specific needs. The work we do as a tile contractor has been renowned in the area for many years, and it is our responsibility to maintain good relations with our clients by providing them with first class quality and efficient services. Artistic Marble and Granite, a company with years of experience in manufacturing and installing natural stone products, provides an entire range of services to its customers: kitchen remodeling and wood flooring installation, granite countertops, bathroom remodeling, vanities and custom cabinetry, wall cladding, marble tile installation and also manages personalized projects. Our services cover every aspect of our customers’ projects: listening to ideas, suggesting technical and aesthetic solutions for their interior design preferences, offering a wide variety of natural stones to pick from, manufacturing and installing the finished products. Natural stone offers timeless elegance and style to every house or commercial building. Natural stone, whether it’s marble, granite or other type of stone, is a high-quality, durable material that can be easily integrated in any type of interior design, from elegant and classic to very modern and minimalist. Artistic Marble and Granite puts emphasis on customer satisfaction, and high-quality products and services. We treat every project with the same amount of consideration and professionalism, whether it’s remodeling an entire house or just replacing a countertop. Natural and engineered stone fabricator. 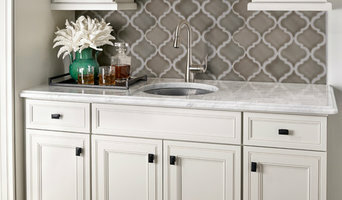 American Granite Tops is located in the Metro-Detroit area and can easily service Oakland, Macomb, Wayne, St. Clair, Livingston, and Genesse Counties with all customer granite and tile needs. Our goal is to always make all of our customers happy, and we believe in treating each customer like a part of our family. We are proud to offer the highest quality Tile and Grout Restorations services such as Cleaning, Sealing, Caulking, Grouting and Tile Replacement servicing Metro Detroit and Southeast Michigan. Our highly qualified team is ready to help you transform your home or business.